Hangovers are unpleasant and may be aggravated when certain types of alcoholic beverages are mixed, as well as when mixing alcohol with different drinks, often referred to as “mixers.” In these cases, the hangover may be much more severe the next morning, leading to a significant reduction in cognitive abilities, along with side-effects like headaches, nausea and, in some cases, even vomiting. At the same time, it should also be noted that not all alcoholic beverages will cause severe hangover side-effects the next morning. 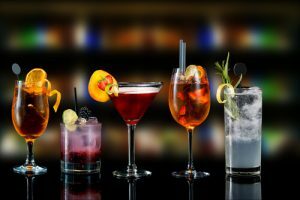 This article will discuss the effects that types of mixed drinks. Additionally, the article will also consider the effects when mixing alcohol with certain “mixers” may have on the body – as well as the possibility of a hangover the next day. Essentially, the best medicine for a hangover is to be acknowledged and to make better decisions. Will congeners cause a worse hangover? How does ethanol content affect a hangover? How does the purity of alcohol affect a hangover? What do artificial colors and flavors do with veisalgia? Does mixing with carbonated drinks affect the severity of crapulence? Is there a connection between sugary drinks and hangovers? Is hangover worse if one mixes different types of drinks? What happens when mixing grain and grape? Beer before liquor or liquor before beer? A congener is a term that is used to refer to substances that are produced during the process of making an alcoholic beverage, apart from the actual alcohol and ethanol content found in the liquor or drink. In many cases, congeners are responsible for certain colorations in an alcoholic drink, as well as for adding certain distinct flavors. An excellent example would be a whiskey drink – the congeners in this particular alcoholic drink are known to cause a specific and distinct flavor, along with a darker color of the liquor. This can quickly lead to a whiskey hangover, for example. Another example would be rum – in terms of a rum hangover, the reason for the severe symptoms would be the darker color, caused by the presence of congeners. While data surrounding congeners and their effects on a hangover and other side-effects associated with the use of alcohol is still somewhat limited, the Oxford study found that those people who consume drinks that have higher levels of congeners tend to experience more severe symptoms associated with a hangover. That’s why the gin hangover seems to be relatively less severe. The same study explains that, in some cases, mixing liquors and some other types of alcohol with orange juice may help to reduce the number of congeners in the drink. This, however, does not account for many real-world scenarios. What this ultimately means is that a person may want to opt for a particular alcoholic beverage with a lower amount of congeners if they wish to reduce the effects that the alcohol would have on them the following day. At this point, it should also be noted that cheaper alcoholic drinks tend to have higher levels of congeners. In case of congeners poisoning a person may require medical treatment. Ethanol is a type of alcohol that is found in most alcoholic beverages and may also have an impact on the severity of a hangover produced the day after a heavy night of drinking. In one 2017 study, scientists monitored the relation between levels of ethanol in the urine of participants in the study and compared their findings to the severity of the hangovers experienced by the study participants. For example, absinthe is the drink with one of the highest ethanol content, and absinthe hangovers tend to be very severe. The scientists involved in the study found that those individuals who had higher concentrations of ethanol in their urine samples also experienced more severe symptoms of a hangover. Specific symptoms that seemed to be significantly worse among those who had higher levels of ethanol included nausea, heart racing, sleep problems, sweating, concentration issues, weakness, stomach pain, and anxiety. Some participants were very sleepy, instead of experiencing problems with their sleep. The purity of alcohol is usually determined by the particular process that is used to produce the alcohol – primarily through the fermentation process that is used. Some types of alcohol have a higher purity level than others – in these cases, it also means that the level of alcohol that will be present in a person’s bloodstream will be higher. The result is a faster intoxication, led by more severe hangover symptoms the next morning. For this reason, a person who would like to avoid a serious hangover during the next day might want to opt for a type of alcohol with a lower purity rating. A large number of alcoholic beverages on the market today tend to contain artificial flavorings, along with artificial coloring agents. Understanding how these elements may affect the absorption of alcohol and ultimately the hangover that may be awaiting a person is important. As mentioned before, the majority of the flavors and colors that an alcoholic beverage may possess are added through the use of congeners. This is why it is important to consider the effects that such a substance may have on the body. The article touched the subject earlier – when there is a higher presence of congeners in a drink, a person would be more likely to experience adverse effects of a hangover like headaches, tiredness, insomnia, nausea, and similar symptoms the day after they drank these alcoholic drinks. The possible allergy to artificial colors and flavors may also result in severe veisalgia. Some studies have also looked at how the mixture between alcohol and carbonated drinks would affect a person’s blood alcohol levels, as well as how this type of mixture could impact the possibility of a hangover the following day. This is one of the most popular types of mix drinks that people tend to have when they go out. A study in the Journal of Forensic and Legal Medicine found that mixing vodka with a carbonated drink may elevate levels of alcohol in the bloodstream, compared to vodka hangover when this beverage was consumed without any additional liquids, or when mixing tequila with water. While this may still lead to what many would refer to as tequila hangovers, it would not be as severe. At the moment, a scientist has suggested that this effect is likely due to the carbonation causing the content to be emptied into the small intestine of a person faster, leading to faster absorption of the alcohol as well. A good example of a pre-mixed option would be champagne – and a champagne hangover would then be due to the bubbles, or carbonation, leading to faster absorption of the alcohol content. Similar to how mixing drinks with carbonated beverages and alcohol may cause an increase in the level of alcohol within the bloodstream, there also seems to be a connection between adding alcohol to sugary drinks, whether carbonated or not, and blood alcohol levels. The study mentioned in the previous section also found that when high glucose levels are present in an alcoholic beverage, then the chances of experiencing a more significant elevation in blood alcohol levels are increased. This is one of the reasons why cocktails often cause a person to experience a bad day after a hard night of drinking, due to the high sugar content. Here, it is important to take note that some drinks have higher sugar content than others. The more glucose in a drink that is mixed with alcohol, the faster alcohol may be absorbed into the bloodstream – this may lead to increased drunkenness, as well as a worse headache, coupled with symptoms like nausea and weakness the next day. Mixing the alcohol with diet soda options, for example, may help to reduce the severity of these symptoms. While many have suggested that mixing different drinks that contain alcohol together will cause a more significant impact on a person’s likeliness to have a hangover the next morning, it has been found that there is a lot of false in these claims. A hangover is really dependant on the specific amount of alcohol that a person would consume, as well as the period in which the alcohol is consumed. Mixing multiple alcoholic drinks can increase the alcohol content of a drink, however, which may lead to a really bad hangover. Thus, learning how to sober up fast may start with choosing the right combination of drinks in the first place. This could even prevent hangover all-together. A glass of wine typically contains around 12%. A spirits shot, on the other hand, usually contains as much as 40% alcohol. When combining the two, the effects would be stronger, and the hangover would likely be worse compared to only having the wine. Some have suggested that mixing types of alcohol like grains and grape-based alcohols can cause more severe hangover symptoms, such as headaches and nausea. Again, as with mixing different kinds of alcohol, it is all about the amount of alcohol that is found in the drink – when grain-based alcohol and grape-based alcohol (different types of alcohols) are mixed to the point where the alcohol content rises significantly, it may lead to a more severe hangover. This, however, does not mean mixing beer and wine will have a direct impact on a hangover. Most would have heard the term “beer before liquor, never been sicker” before. Unfortunately, this is often considered more of a myth – often referred to like the beer before liquor myth. It doesn’t matter whether beer or liquor are consumed first. The important part is the total amount of alcohol that enters a person’s body – instead of focusing on whether mixing beer and liquor is good or bad. Having diarrhea after drinking beer or liquor, for example, is often a direct result of the alcoholic content and not necessarily the specific type of beverage that was consumed. Does Mixing Alcohol Worsen Symptoms? 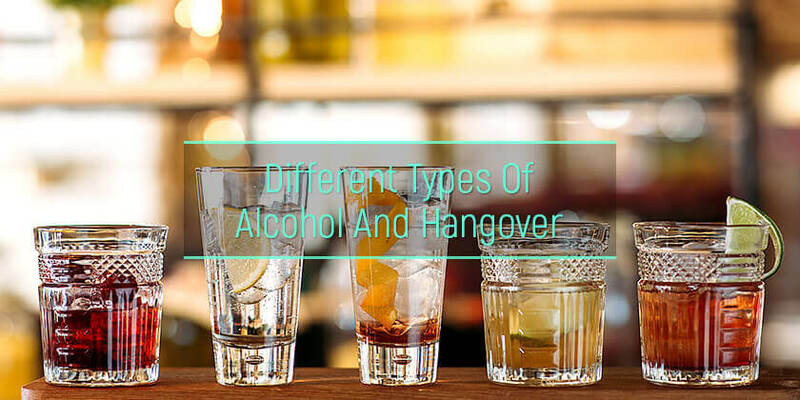 When it comes to an understanding a hangover, it is important to start by looking at the different types of alcohol and their effects. A wine hangover may be different side-effects experienced when having another drink. Different mixed drinks where alcohol is mixed together or mixed with certain non-alcoholic beverages may further elevate blood alcohol levels and lead to additional side effects. In the most severe cases the medical attention of the alcohol rehab institution representatives may be required. There is also a lot of information available on topics such as how to cure a hangover quickly.